Hillary Clinton Turned Bill Down 2x: Now were not sure if this is true but Hillary Clinton supposedly turned Bill down 2x before accepting his marriage proposal. The point is not their relationship per se but to illustrate why you shouldn’t ask a woman once much less 2x. 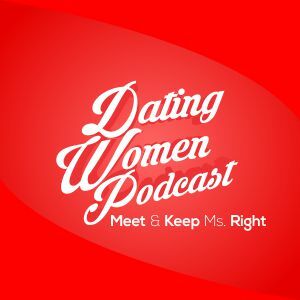 Why THE SYSTEM Is For Women Too: It seems like we coach men in dating but really THE SYSTEM and this podcast is for women as well as men because what we learned from women we teach to men. From A Woman – Do The Right Things In Dating: A woman writes us and observes that you should act with integrity in dating – and it really illustrates that what we teach is for GOOD women to be treated right by GOOD men. Dating Should Never Be Hard Work: Things have to flow in dating – it’s not supposed to be difficult. The conversation needs to be good and time needs to pass quickly. It all has to do with her INTEREST LEVEL. If she really likes you she will make it easy for you. Give it one or two dates and if it’s not right by that point then forget it. Look for the 11/11/15 show at http://www.docloveclub.com when you join – you get that hour-long show and over 150 hours of audio plus over 100 dating articles when you join! We give you more audio and articles every single week!